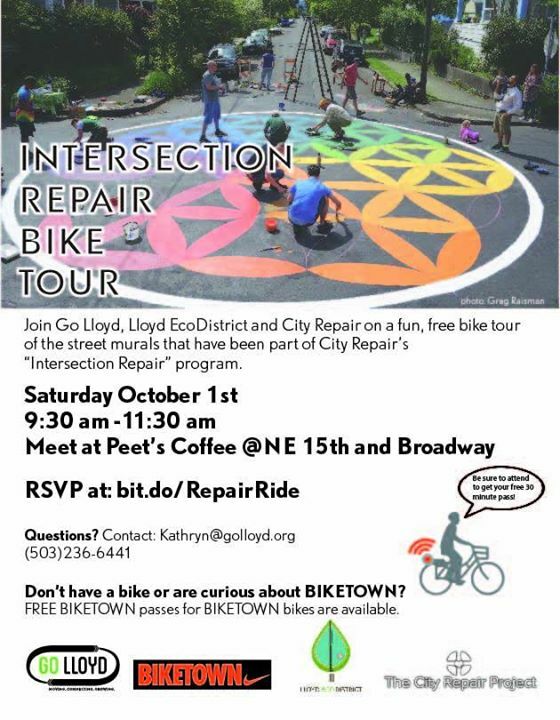 Join Go Lloyd, Lloyd EcoDistrict and City Repair on a fun, free bike tour of the street murals that have been part of City Repair’s “Intersection Repair” program. Don’t have a bike or are curious about BIKETOWN? FREE BIKETOWN passes for BIKETOWN bikes are available.